Interested in serving FBA as a Board of Director or Advisory Board member? Please fill out our online form or download the FBA Board brochure for more information. Patty has lived in south Florida since 1984 and her love of the environment and beauty of the Everglades enticed her to become an active board member in many local and regional organizations over the years, including the Friends of Fakahatchee Strand Preserve State Park, the Everglades Association, the Collier County Historic and Archeological Preservation Board, and the Friends of the Museum of the Everglades among others. 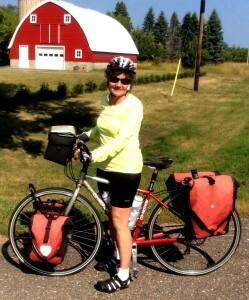 She and her husband Steve began long distance bicycle touring 18 years ago when they rode across the United States from Everglades City, Florida, to Astoria, Oregon in 2000, then again two years later from Port Townsend, Washington, to Jacksonville. They have also bicycled through Europe on five different occasions. Patty’s commitment to safe alternative transportation and her appreciation for the Everglades encouraged her to help establish the Friends of the River of Grass Greenway which focuses on safety and environmental education and stewardship for those hiking, walking, or cycling through the central area of south Florida. Courtney Reynolds is a lifelong Florida resident, born and raised in Daytona Beach. She grew up riding the bus, walking and biking where she needed to go, learning first-hand that transportation is the key to accessing opportunities. She considers her career in transportation to have started in the fifth grade, when she became a safety patrol at Port Orange Elementary School. Her academic background is in theater and dance, which serves her surprisingly well in her current field of Transportation Demand Management (TDM). She manages the Florida Department of Transportation’s District 5 Regional Commuter Assistance Program (also known as reThink Your Commute), whose primary goal is to reduce single-occupancy vehicle trips on Central Florida roadways during peak hours. The program has allowed Courtney to work with hundreds of employers and thousands of commuters since 2009, promoting carpooling, transit, and biking to work. To be better equipped to promote bike commuting, she became a CyclingSavvy Instructor in 2014. She currently resides in the Orlando area with her husband and two young sons. Follow Courtney’s Instagram adventures at @devouredbynoon. Jim is a Florida boy, born and raised in Sanford. He attended Florida State University for his undergraduate and went on to graduate from FSU College of Law. After graduation, he served four years in the Air Force as an Assistant Staff Judge Advocate. Jim then moved to Clearwater and worked for five years as a prosecutor with the State Attorney’s Office before joining the U.S. Attorney’s Office in Tampa, where he worked in the civil division defending medical malpractice cases. Jim entered private practice and was with a firm in Clearwater for some 17 years before opening his own office in 2001. 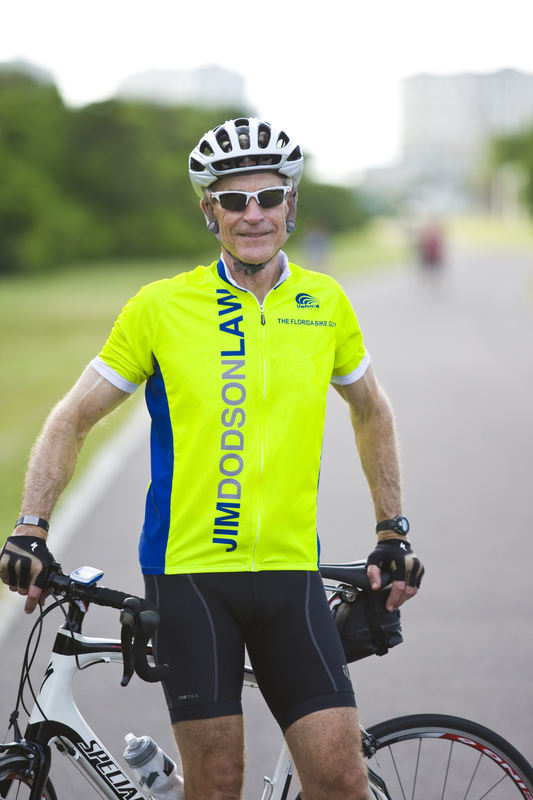 He is a personal injury lawyer with a special emphasis on bicycle accident victims. Jim and his wife have two adult children and six grandchildren. He stays busy as a cyclist and has a number of other outdoor interests. He is a strong advocate for bicycle safety and looks forward to bringing his perspective to the board. Edward (Eddie) has been an avid cyclist for nearly 20 years. He began his cycling hobby after being told that he was working toward having a heart attack around the age of 40. After that he began what is now his passion. In those 20+ years he has participated in many charity rides and smaller events including the American Lung Association ride, Horrible 100, Horse Farm 100 and the Tour de Tow to name a few. 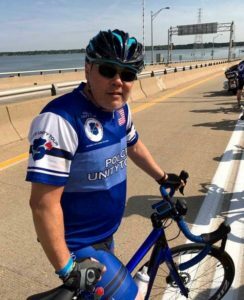 Eventually, he graduated in longer events like RAGBRAI and the Police Unity Tour, a 3-day event to help bring awareness to the in the line of duty deaths of law enforcement officers. He is a semi retired police detective with the Lakeland Police Department, a US Army veteran serving from 1984-89 and been a member of the SWAMP club, IMBA, Polk Area Bicycling Association, League of American Bicyclists and now the Florida Bicycle Association. He does his best to keep up with cycling issues in his hometown of Lakeland and Polk County and can typically be found riding with friends on the roads and trails. Eddie and his wife have a grown daughter and a boxer named Buster. He was drawn to FBA to be a part of the organization and ultimately part of a larger solution to the issues that cyclists face when riding on the Florida roadways. He wants to help make cycling safer for recreational cyclists as well as commuters and feels it is his duty as a cyclist to be involved and to help find solutions that will work with cyclists and motorists. Originally from Sarasota, John has spent most of his life in Gainesville, where he currently resides. After receiving a B.S. in Exercise and Sport Sciences from UF in 2008, John began working on his Master’s degree in Sport Management. While obtaining his Master’s degree at UF, he worked as the graduate assistant with the Florida Traffic and Bicycle Safety Education Program (FTBSEP) for two years. Since graduating in 2010, he has served as the FTBSEP Assistant Director in a full-time capacity. In this position, John works extensively with school districts, Florida Dept. of Transportation, Safe Routes to School personnel, school teachers, and others to coordinate and conduct teacher training workshops, and improve pedestrian/bicycle safety throughout Florida. 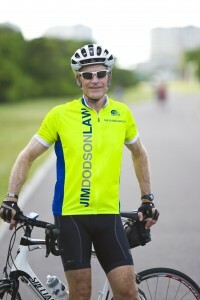 Additionally, John is certified by the League of American Bicyclists as a League Cycling Instructor. In addition to working with the FTBSEP, John is a PhD student (Health and Human Performance/Sport Management) and conducts research in the area of safety and risk management in sport and physical activity programs. John is a frequent conference presenter in the area of pedestrian and bicycle safety and has co-authored pedestrian/bicycle safety articles for publication and has other research in progress. In addition to bicycling, John enjoys attending sport events (especially the Florida Gators), scuba diving, and restoring vehicles. Steele Olmstead’s family has been in bicycling in a big way since 1971. But long before that, Steele started cycling at age four on a solid rubber wheel bicycle. His Air Force major father, despite moving the family multiple times, always provided the kids with bicycles at every Air Force base. 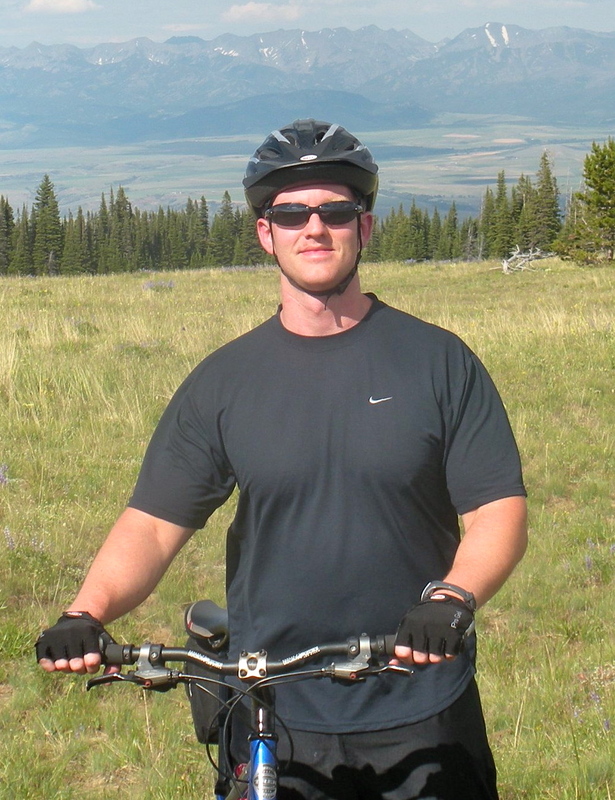 Bicycles were Steele’s one constant in life besides his family. In 1971, Steele’s cousin Tom Steele Godwin started The Great Bicycle Shop in Tallahassee. This is where Steele got his first job as a bike mechanic. In that position he learned from the students and state workers who frequented the college town shop how it was to cycle as a lifestyle. Steele’s brother Jim Olmstead took it over in 1975 and Steele worked there through college and before law school and commuted by bicycle to school. During law school, he commuted on bicycle and after graduation Steele’s brother would occasionally call him about a bicycle issue or to help an injured customer. That’s how he first started practicing bicycle law. He now represents injured cyclists and answers questions from bike shops frequently. 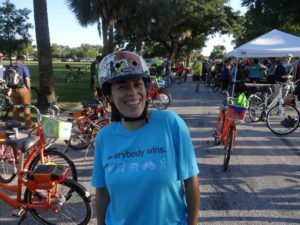 Steele regularly lectures about bicycling issues to bicyclists, bicycling club and makes appearances in front of governmental bodies to advocate for making bicycling safer in Florida. He is in a not-for-profit advocacy group in West Central Florida known as SWFBUD. SWFBUD’s motto is “Making the Bay Areas Better for Bicycling.” Steele lives in New Tampa with his partner, Dr. Pamela Hatley.